As we head toward the end of the semester, you probably have a research assignment or two to finish. Here are some of our favorite tips to help you ace those papers! We are continually reviewing what we do and how we do it to make sure we serve UDC faculty the best we can. Thank you to all the faculty who took our survey. Here is some of what we learned from your feedback. Many thanks to the 300+ students who responded to our survey last fall — we learned a lot from you! Here are some highlights of what we learned and what comes next based on student feedback. Through July 2019, stop by the library to see a display about DC history. Learn fun facts out our city's history and check out a few book titles you may want to take home and read. Do You Know DC is presented in conjunction with the UDC: A Visual History exhibit on display in the Student Center. You can now follow the library on social media. 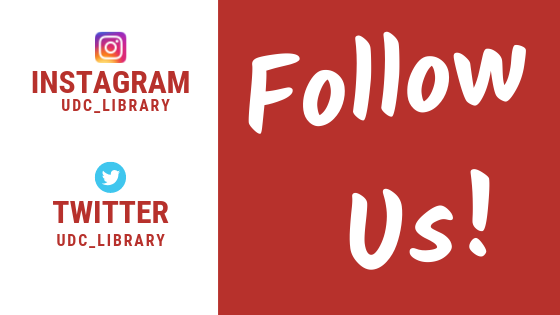 You can find us on both Instagram and Twitter at udc_library. We're sharing helpful tips, recommendations, and other news you can use. 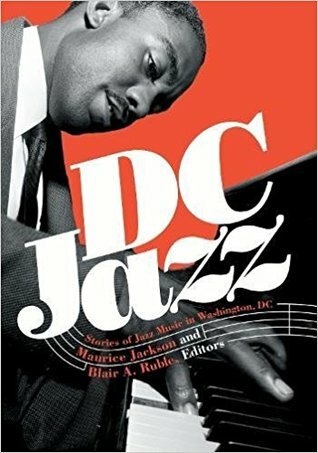 Among the contributors to the new book DC Jazz: Stories of Jazz Music in Washington, DC (Georgetown University Press) are two professors from UDC. Professor Judith Korey of the music program wrote the chapter "From Federal City College to UDC: A Retrospective on Washington’s Jazz University," and Professor Michael Fitzgerald of the library wrote "Researching Jazz History in Washington, DC," which spotlights UDC's Felix E. Grant Jazz Archives among other area collections. UDC Search - Find Articles, Books, & more! ...or explore the full-text electronic collections in our A to Z Resource List. You might also want to see our Index of Research Guides. The University of the District of Columbia (UDC) is a Funding Information Network partner of Foundation Center. The Funding Information Network is comprised of libraries, community foundations, NGOs, and nonprofit resource centers across the country and around the world. As a Funding Information Network partner, UDC provides free access to the most comprehensive information available on foundation and corporate giving. It features Foundation Center print and electronic resources as well as professional staff to assist visitors. Foundation Center electronic resources include, Foundation Directory Online, Foundation Grants to Individuals Online, and Foundation Maps. Developed by the Foundation Center, a non-profit organization with 50 years of experience connecting grantseekers and grantmakers, Foundation Directory Online is the nation's leading online resource for funding research. This resource is not available off-campus. Remember, you can always contact us with questions.